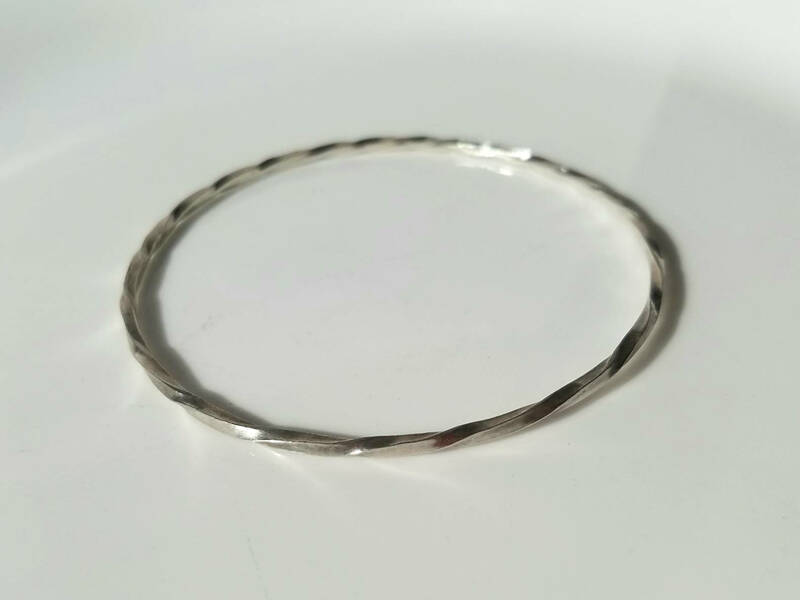 I hand twisted the sterling silver and forged it into this funky bracelet. 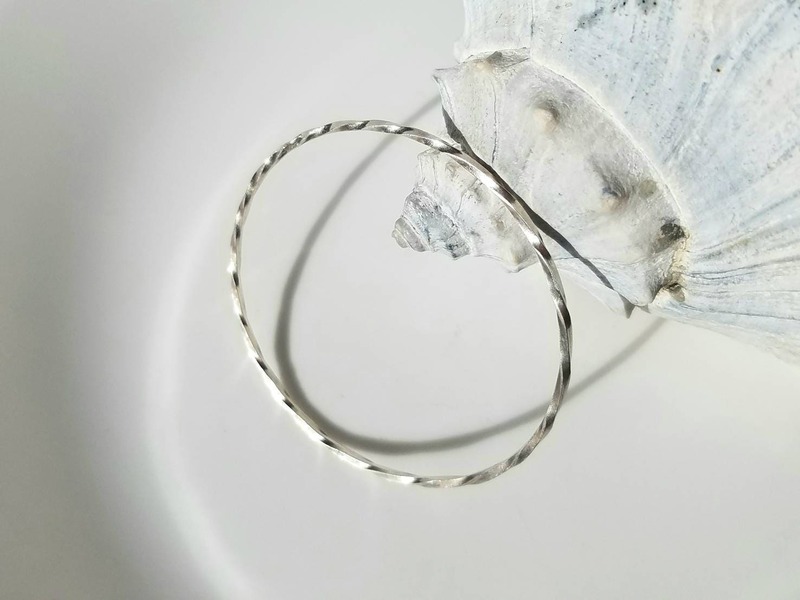 The twist of the metal catches light, creating an interesting visual effect. 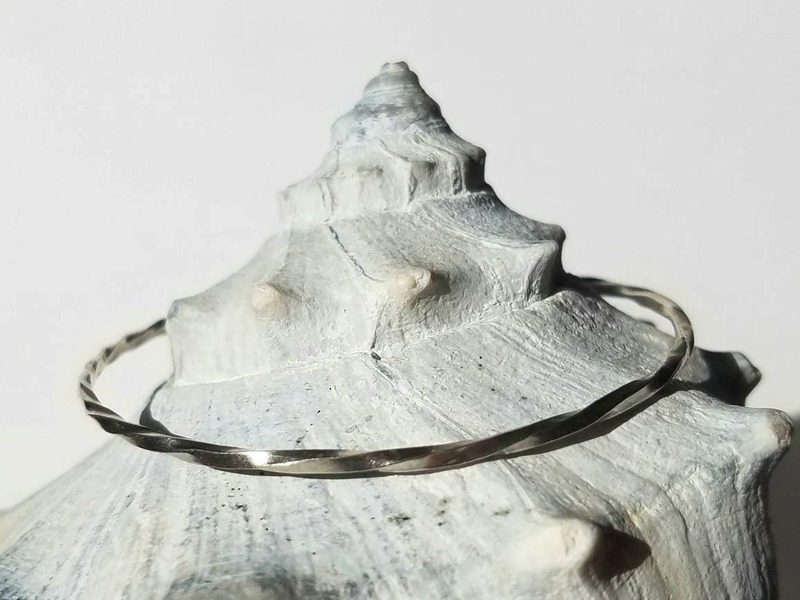 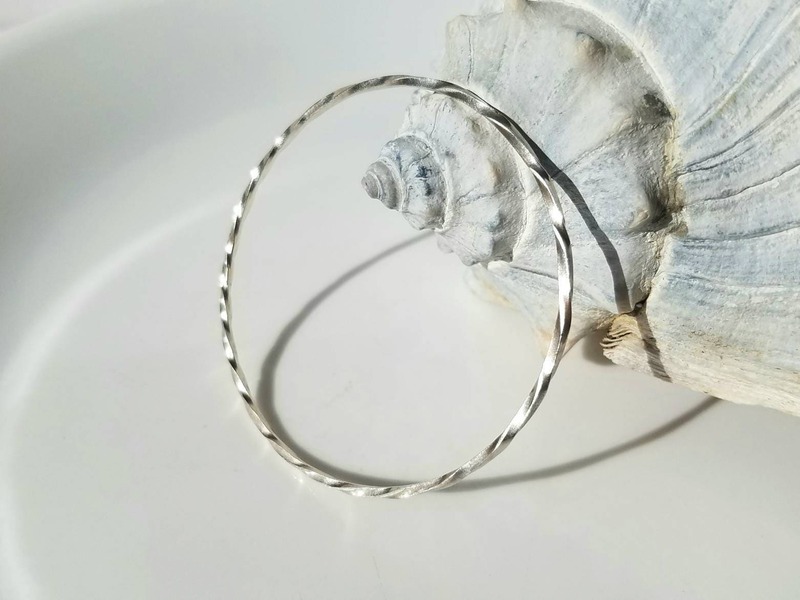 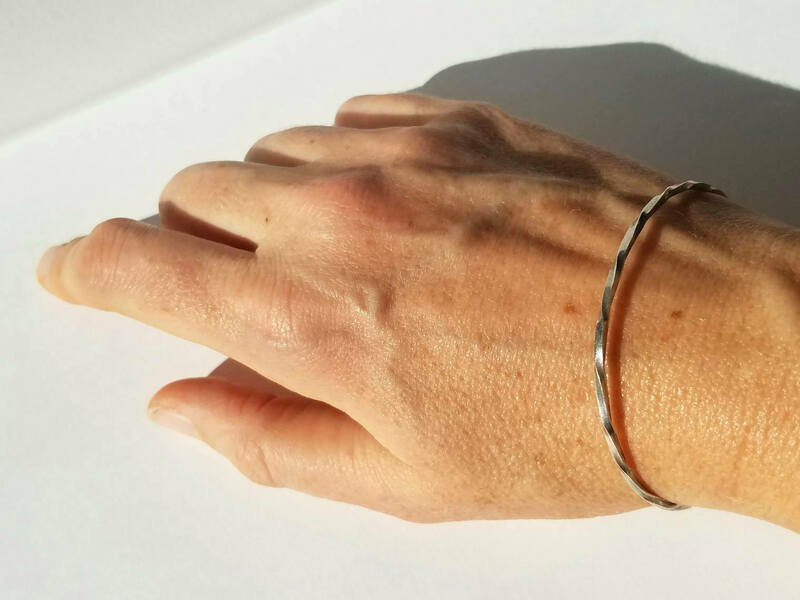 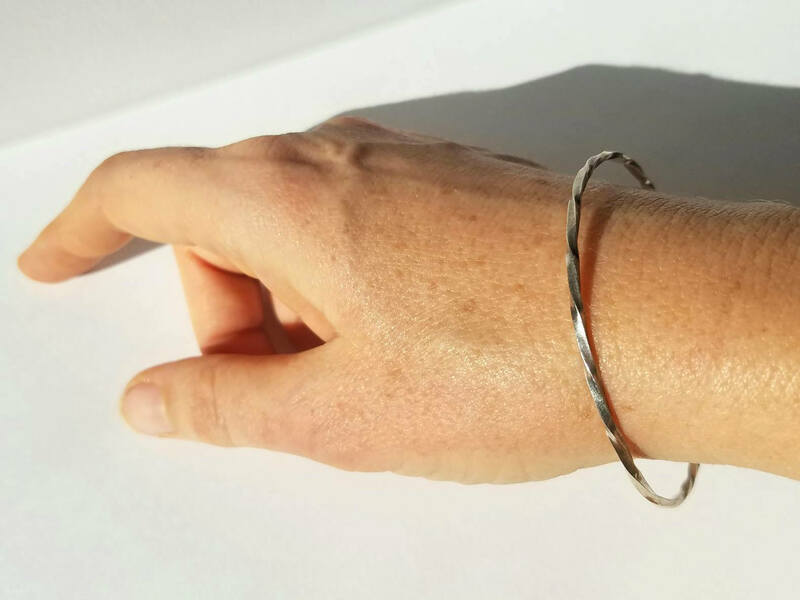 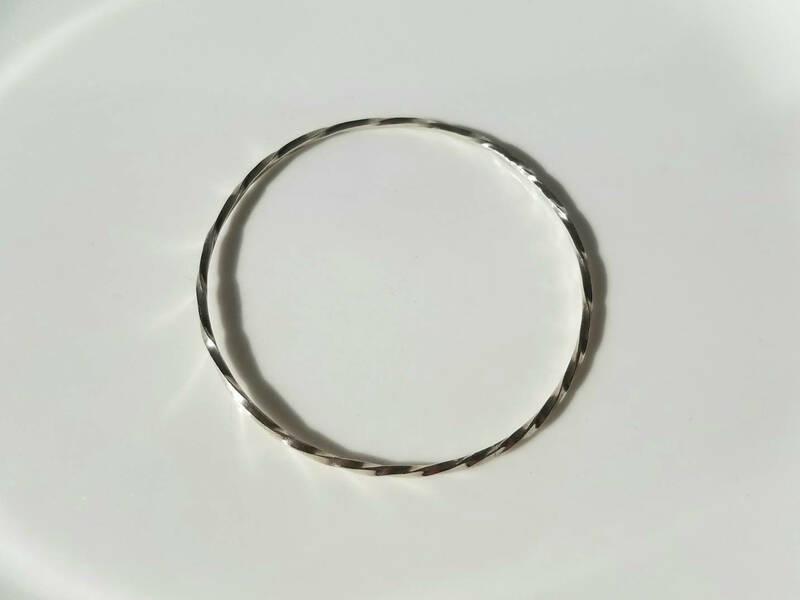 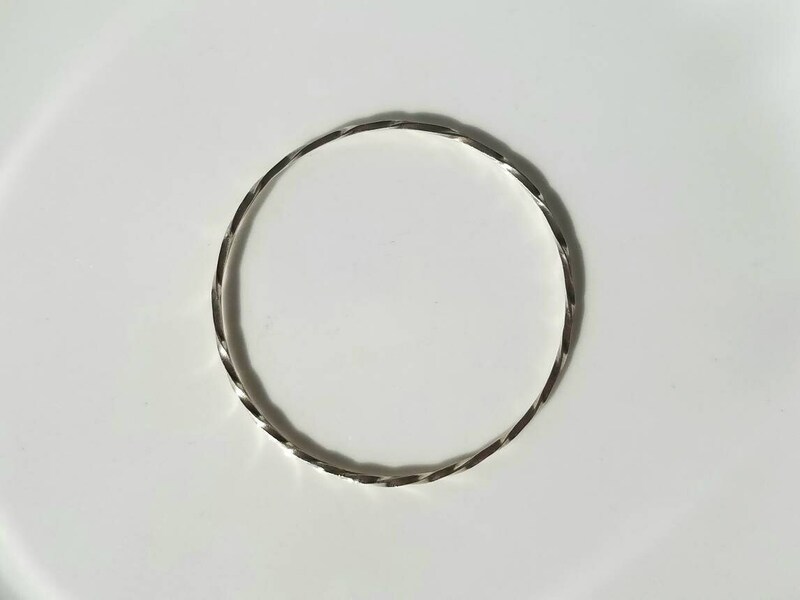 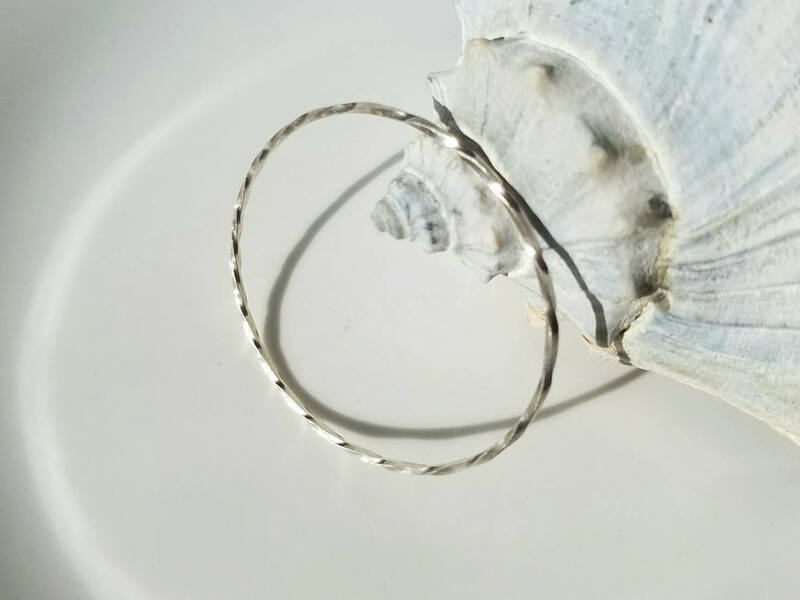 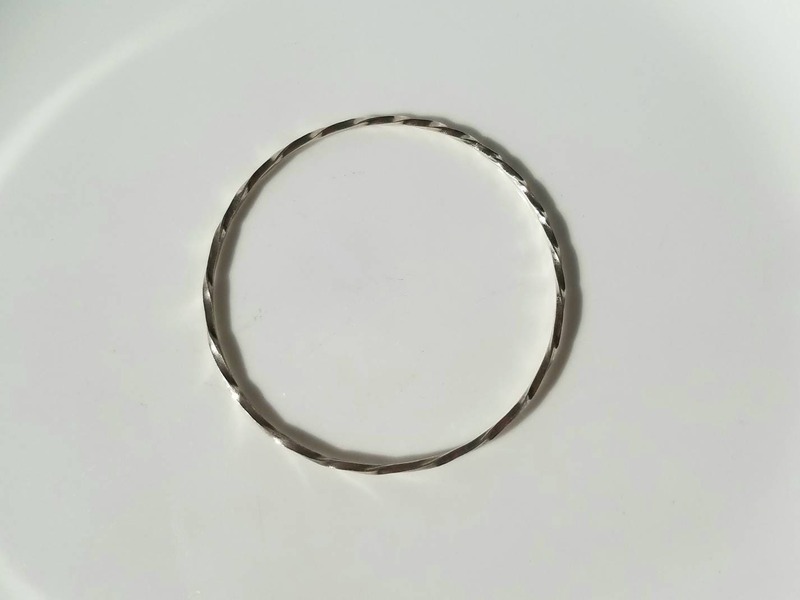 This light weight bangle looks great on its own or in the company of others.